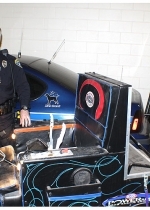 OCTOBER 22--A Minnesota man arrested last year for drunkenly driving a motorized La-Z-Boy lounge chair pleaded guilty this week to a DWI charge. 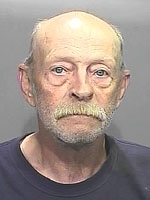 Dennis Anderson, 62, was nabbed after driving his chair into a parked car, according to a Proctor Police Department report. 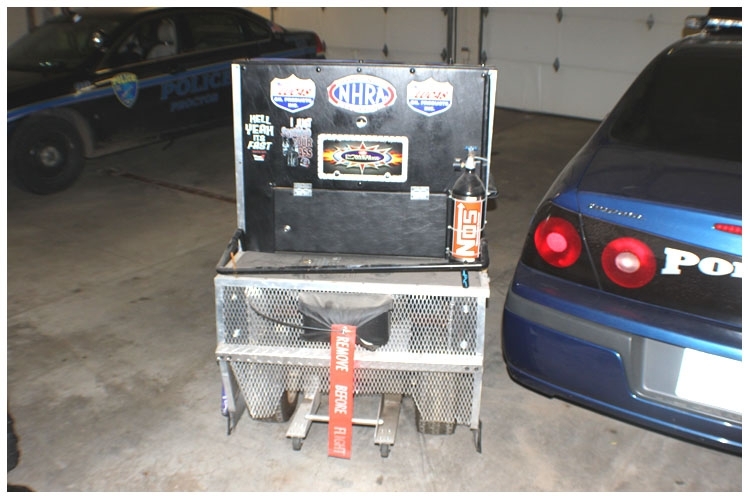 A subsequent blood draw showed Anderson's blood alcohol content was .29, more than three times the legal limit. 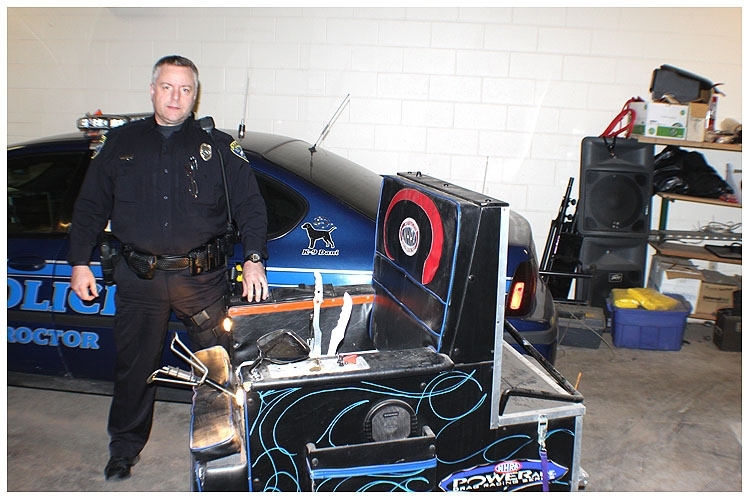 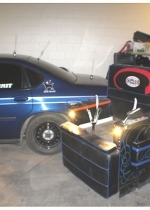 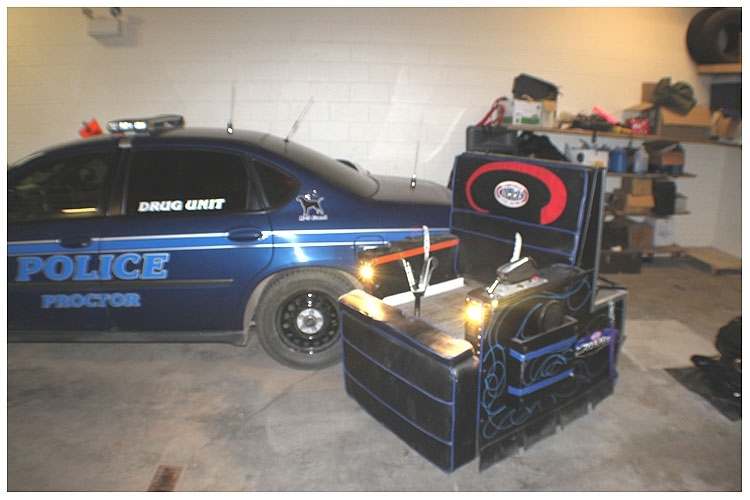 Anderson's customized vehicle, seen in these police evidence photos, is powered by an eight horsepower Kohler lawnmower engine, and has a stereo, headlights, a built-in cup holder, and a "Hell Yeah It's Fast" bumper sticker. 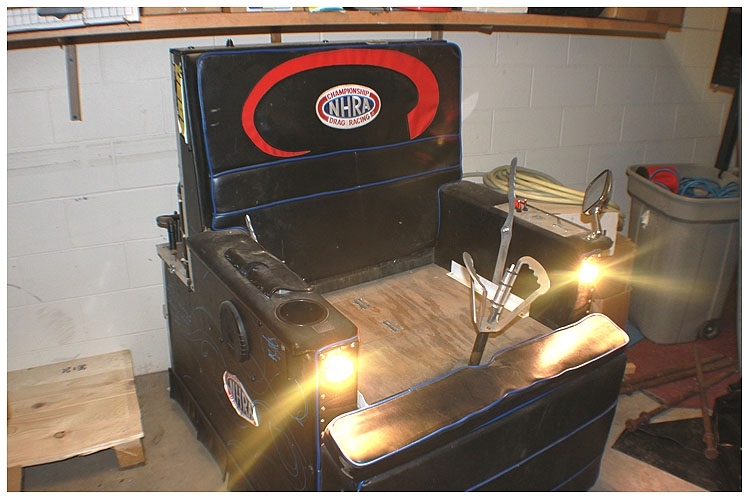 The ride, however, does not have a seat belt. 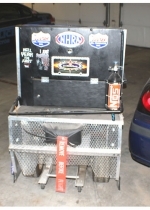 Anderson, pictured at left, controlled the La-Z-Boy via a steering wheel protruding from its seat cushion. 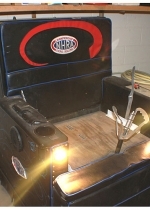 The vehicle's headrest was adorned with the logo of the National Hot Rod Association.